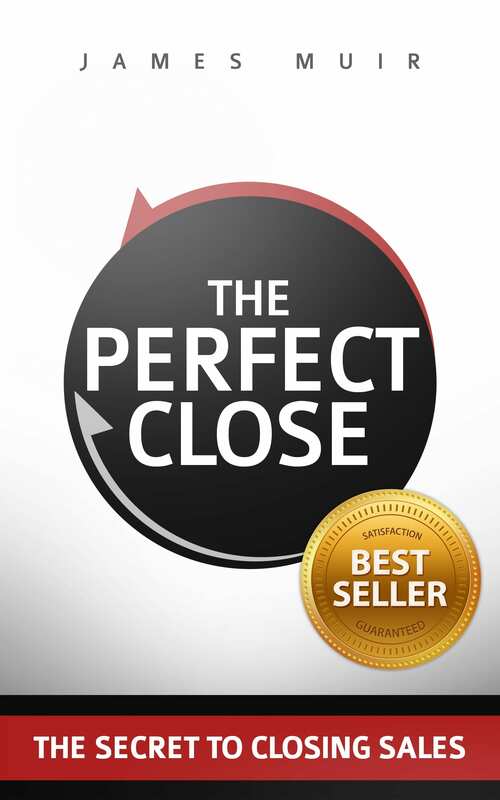 I recently did an interview with the Brazilian sales magazine VendaMais that answers many questions I get on The Perfect Close. I think you’ll enjoy it! Q. The fundamentals of Neil Rackham’s theory says that “a close is anything that puts the customer in a position involving some kind of commitment”. So, closing is not necessarily the specific moment when a sale is finished? Can you talk a bit about that? That’s correct. Neil Rackham discovered in his research that less than 10% of sales calls result in an order or a no-sale. That means we need abandon the notion of an all-or-nothing close. There are a lot of smaller “closes” on our way to the final close. By setting appropriate call objectives for each individual sales encounter we will achieve a unbroken chain of successful advances that will ultimately lead to closing the sale. Q. Is this reveals that the common sense about closing sales is wrong? Why is that? ABC – Always Be Closing – Thanks to Alec Baldwin in the movie Glengarry Glen Ross we all know the ABCs of sales: “Always Be Closing.” Unfortunately, this has been tested, and beyond the first attempt there is a negative correlation between closing frequency and sales call success. This is one of many areas that Rackham tested and what his research proved is that increasing close attempts in the same encounter actually proved to be 33% less effective. Closing Techniques Work on Both Large and Small Sales – Neil Rackham tested the effect of closing on large and small sales and found that closing techniques in small sales did improve sales by 4%. But in large sales he discovered that closing gambits actually reduced sales by 9%. The surprising fact is that the threshold between large and small sales was only $109. So professionals that sell items higher than this should avoid using closing techniques. The Sale Will Close Itself – This is the myth I fell for early in my sales career. Studies show that the problem of not advancing the sale at all is much bigger than the problem of using closing gambits. In 50% to 90% of sales encounters no commitment is asked for whatsoever. Based on research done by Neil Rackham, asking just one closing question will raise your chances of advancing or closing the sale by 36%. Rackham says it this way, “Traditional closing techniques are not the best way to obtain commitment from a customer in a major sale. But… as we’ve seen, doing nothing isn’t effective either. The sale doesn’t close itself.” You must make some sort of effort to advance the sale. The sale will not close itself. Q. Why closing techniques are counter-productive? 99% of closing techniques are actually counter-productive. The reason for this is they make the customer feel uncomfortable. Anytime we try to move faster than the customer is ready for it will feel like pressure to them. Most closing techniques attempt to corner a prospect and lock them into a decision. This actually damages the relationship. And interestingly, the data shows that it’s also less effective. In a study of B2B buyers six closing techniques were tested for their impact on buyer trust. The techniques tested were: Techniques tested: Assumptive, Yes set, Model/Example, Reciprocity, If-Then and Impending Event. In every case the sales technique proved to damage trust. And predictably, the most manipulative techniques damaged trust the most. This is really the root cause of no commitment being asked for in 50-90 percent of encounters. Sales professionals intuitively know that they are manipulative and will damage trust, and since they don’t know of another way to advance the sale, they do nothing. Q. How can reps addicted to closing gambits change their habits? I never really met a salesperson who was addicted to closing techniques. True sales professionals are constantly seeking improvement. So when presented with the facts about closing I find they are all too happy to upgrade their closing method to one that is non-confrontational and much more successful. Q. 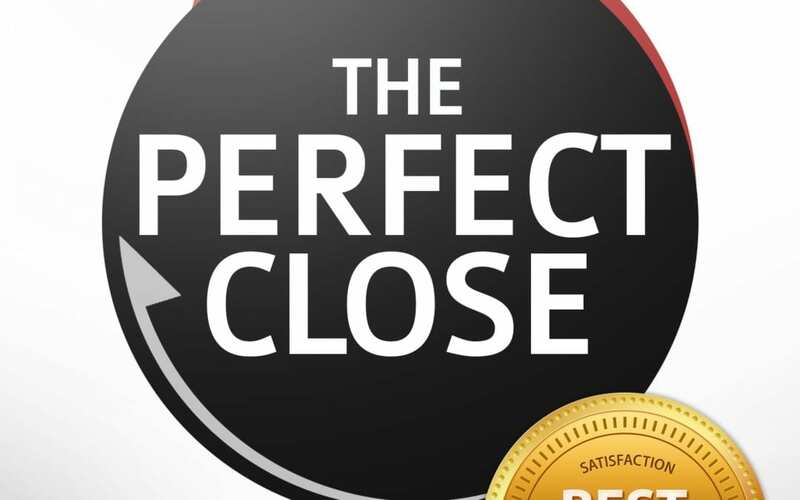 Why do you think the two-questions of The Perfect Close is so effective? The Perfect Close questions are the best practice for closing sales because they always move the sale forward. And regardless of the answers it leaves both the rep and the customer on emotionally higher ground. Even brand new reps report that the questions are 90-95% effective in moving the sale forward on each encounter. Q. Is it possible to make the act of closure be a process? If so, what are the steps? All but the last step here happens before the meeting as you prepare. When you’re prepared, the actual step of asking for the advance straightforward and easy. Q. How is being a good closer connected to being emotionally intelligent? What should sales reps to do become emotionally intelligent? Being emotionally intelligent and having your intent in the right place is critical for sales success. The reason this is true is because we all transmitting our intentions unintentionally. There are three invisible modes of communication that transmit our true intent: Mirror Neurons, Micro-expressions and paralanguage. All three of these are invisible and basically uncontrollable. A sublime truth is that to convey good intent you actually have to have good intent. Intent matters more than technique. It can be difficult to not to think of our own selfish needs in an environment where the stakes and rewards are high. Keys to adopting the right mindset include: Losing the ego, creating positive emotion in ourselves, and actually having the right intent to begin with. There are techniques for accomplishing all of these but the most important is that last one – actually having the right intent. When you enter any sales encounter with a genuine intent to serve regardless of the outcome your autonomic system will automatically be sending all the right signals. And there’s really just one way to do that – actually care. Take some time and think about it a bit I think you’ll find that you do actually care. And when you approach your opportunities with that mindset, you’ll find that not only will you make more sales, you’ll make lifelong friends as well. Q. You say intent is more important than technique to close a sale? Why is that? Intent is more important than technique because your true intent cannot be hidden. Even the best technique will not matter if you enter the opportunity with “commission breath”. When the customer detects that the salesperson’s intentions are not aligned with their best interests, in most cases, the deal is off. Conversely, when a client can detect your genuine intention to help, you can butcher the technique, say gobbledygook and everything will still work out – precisely because intent matter more than technique. Q. What are the big struggles that sales reps have to closing sales? How can they overcome these obstacles? The professional fears being pushy. The professional fears being humiliated. The professional fears being under-prepared. The professional fears losing a closed sale. The professional is ashamed to be in sales. These issues can be addressed by helping professionals discover that by placing a little thought into the way we ask, we can advance the sale without being pushy. By crafting questions that make replies predictable, we eliminate risk of humiliation. By keeping our questions simple and facilitative, there is no need to over-prepare. By using an ingeniously designed query, each reply will advance the sale. And lastly, selling is service. By selling with pure intent, sales becomes a noble profession not worthy of shame. This last point is very important. I am in the healthcare space and no one thinks that we are being selfish, greedy or self-serving when we share a life-saving procedure or drug. Why is it that we see these life-saving sales differently than other types of sales? It’s because we can more easily see the positive effects of these solutions on people’s lives. We can make the connection. And this reveals the true nature of sales and that is – selling is an act of service. Not every solution aims to address the same lofty goals. Some solutions help feed the hungry. Some ease people’s pain with medicines. Some solutions allow people to communicate or travel over great distances. And some solutions offer services that allow individuals to focus on higher value activities – like work or family. Each solution that we sell, helps someone achieve a goal, fulfill a dream, or avert a crisis. Each solution, regardless of how large or how small, helps a real person move from where they are to where they want to be. Helping a customer move towards their goal is an act of service. It shouldn’t be difficult or stressful at all. It should be easy. Because selling is serving. Q. What questions should reps never forget during a sales process? First, sales professionals should ask themselves three important questions: 1. Why should this client see me? 2. What do I want the client to do? and 3. How can I provide value on this encounter. Answering these questions before each sales meeting will magnify their impact thousands of times over. Once in their meeting with the client, it’s important that professionals ask 2-3 high-value questions. High-value questions are questions that the client does not know the answer to and will cause them to think further along knowledge and cognitive dimensions. They require more CPU cycles and actually produce an “Ah-ha” moment for them. These questions, in and of themselves, add value to the meeting because the client walks away more enlightened than the started. Professionals should also always remember that every meeting should end with questions and a review of agreed-up action items and the date for the next meeting. This will lead to a continuous set of advances that will ultimately culminate in won opportunities. Q. What tips do you have for managers interested in elevating the conversion rates of their teams? Following these steps improves close ratios. Q. What abilities are crucial to sales reps when the job description is changing so much? This is an important question. Sales professionals need to have high emotional intelligence. They need to understand the customer’s buying process. And it’s important that they understand the customer’s business. The number one complaint by executives is that sales reps don’t actually understand their business. Where your understanding of the customer’s business intersects with your understanding of your solution – value is created. And when you can communicate that value with emotional intelligence in the context of the customer’s buying process you have the makings for successful sales encounters. Always, be learning. Become a subject matter expert and trusted adviser and your success with clients will be certain.